United Airlines is offering a very inexpensive fare of $359 round-trip between Boston and Hamburg, Germany. Fly in October & November, maybe later also. The routing for this very low fare goes through Newark. From Hamburg you can take other ultra-low-cost European airlines (e.g., AirBerlin) to other destinations, including those with more temperate winter climates. Other airlines may match this airfare. This sale is only good today until about 1 PM Eastern time. Departing Germany, Vienna and Zurich, arriving Chicago and New York. 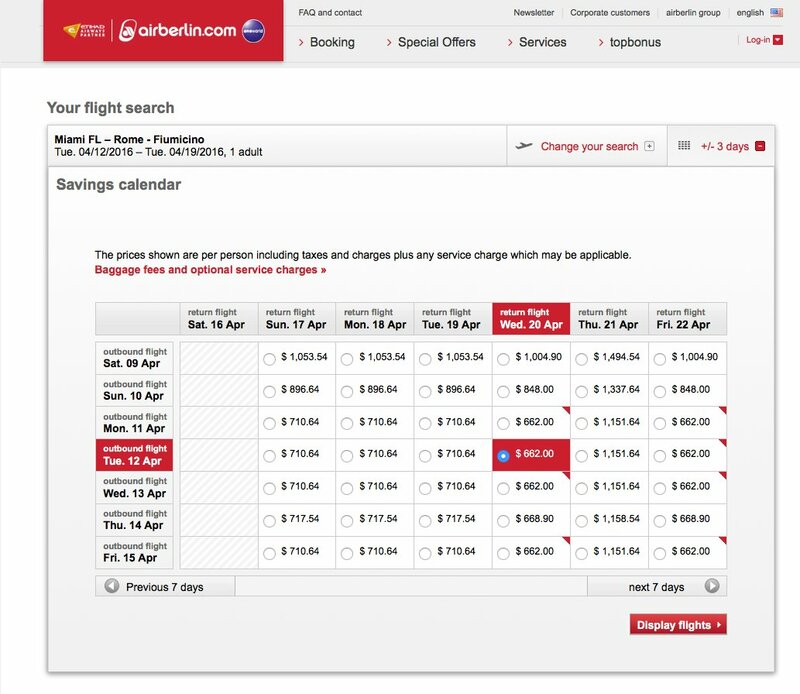 Best bet: Fly to Europe on WOW, return on AirBerlin. 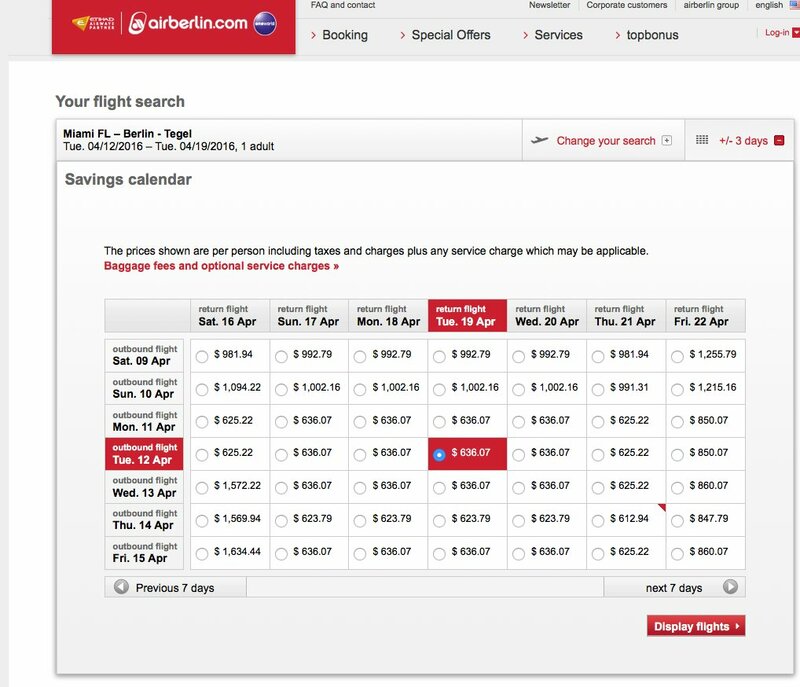 AirBerlin is a OneWorld alliance member, so you can use American Airlines AAdvantage miles to book trips on it. My family flew open-jaw in Coach last Fall to Venice, returning from Barcelona, on a combination of AA and AB. Now AirBerlin is adding more trans-Atlantic flights, which is a good thing. As a tall passenger, my favorite feature of AirBerlin is the (extra-cost) availability of their XL (extra legroom) seats in Coach. But you have to be vigilant…weeks after we were ticketed, they did a schedule change and put me into a standard seat. A phone call to their courteous call-center man got that rectified, but it was just luck that I noticed the seat change. 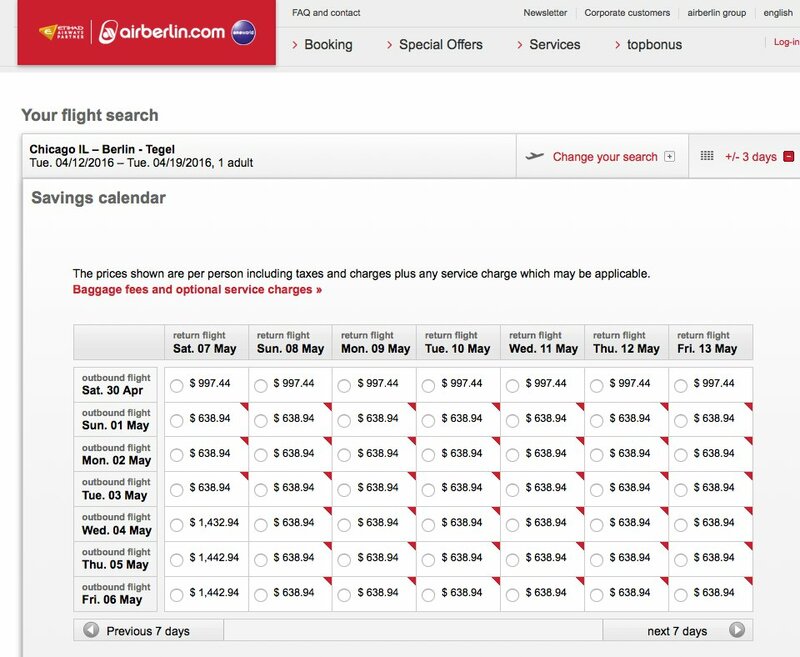 AirfareWatchdog shows some $600+ round-trip fares from Miami to Berlin and Rome. This is for travel next month and May. Book on the AirBerlin website. AirBerlin is a OneWorld partner, so you can earn American AAdvantage miles on these flights if you ask in advance of travel.